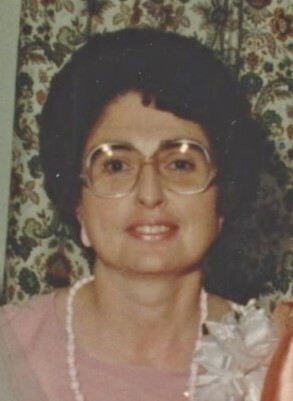 Judy Lee Colvin Coulter, age 75, of Mackville, passed away at 10:11 a.m., Thursday, April 11, 2019 at the Spring View Hospital in Lebanon. A native of Washington County, she was born on March 4, 1944 to the late Justus Reddick “J.R.” and Wilma Doris Butler Colvin. She was a member of the Mackville Baptist Church, a 1963 graduate of Springfield High School and a homemaker. Preceding her in death was a sister, Doris Colvin Satterly and three brothers, Archie Thomas Colvin, Daniel Ray Colvin and Justus Reddick Colvin, Jr. Survivors include her husband, Richard Coulter, a son, Marty Coulter (Summer) of Mackville; two daughters, Beverly Combs (Forester) of Harrodsburg and Jeannine Prewitt of Springfield; seven grandchildren; six great grandchildren; two step great grandchildren; a sister, Betty Jo Darland (Jimmy) of Georgetown, Texas and a brother, Michael Colvin, Sr. (Connie) of Springfield. Funeral services will be held at 2:00 p.m., Monday, April 15th at the Carey & Son Funeral Home with Rev. Paul Readnour, officiating. Honorary pallbearers will be Lauren Coulter, Gabby Coulter, Peyton Combs, Delaney Combs, Gracie Combs and Jackson Prewitt. Burial will be in the Peter Cemetery at Mackville. Visitation will be from 4 until 8 Sunday at the Carey & Son Funeral Home.